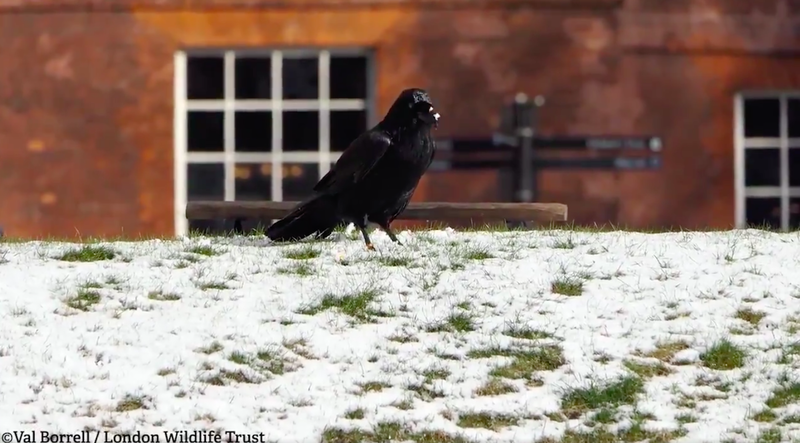 There is no raven more chill than this raven. 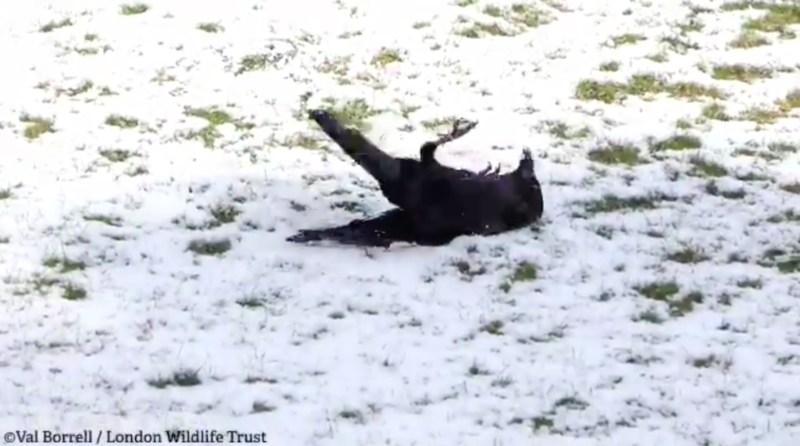 Val Borrell with London Wildlife Trust captured a joyful video of a childlike raven rolling in the snow. This is one clever bird. Learning to embrace whatever life throws at it. Most definitely an upside to the recent blanketing the city has received.